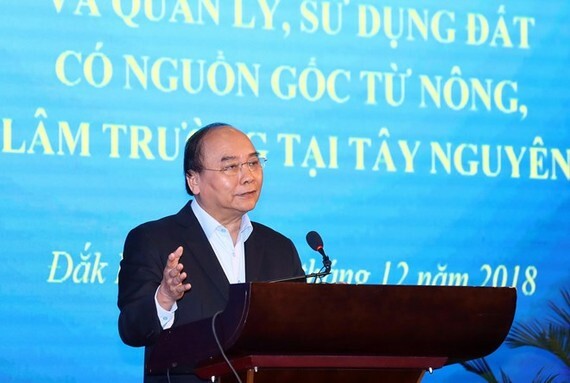 Prime Minister Nguyen Xuan Phuc has reiterated his viewpoint of not encouraging free emigration and ordered legal, harmonious, flexible and comprehensive measures to address the issue. 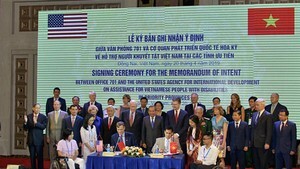 While addressing a national conference in the Central Highland province of Dak Lak on December 9, PM Phuc said free emigration is a global matter, not only in Vietnam, citing statistics of the International Labour Organisation (ILO) as saying that the number of emigrants worldwide reached 207 million in 2017. The PM pointed to negative consequences of free emigration, which, he said, could affect national defence, security and social welfares and order of localities and the whole country. “The ultimate purpose is how to help migrants have stable lives and production, children go to school, and old people receive health check-ups and treatment, with no one being left behind”, he said. The government leader noted that more than 100,000 migrants have yet to register for permanent residence and over 20,000 households have not been stabilised, so the rate of property remains high. PM Phuc asked the local authorities to encourage people stabilise their lives by improving infrastructure and enabling them to develop production as well as taking land management measures to avoid encroachment. He set the target of putting an end to free emigration by 2025, stabilising the lives of disadvantaged households, and completing 32 settlement projects. The Government leader also requested the provinces to increase the effective management of land originating from forestry farms, address the lack of productive land, control free emigration, maintain social order and security and ensure legal interests of people. He agreed in principle to add around VND2.5 trillion (US$107.2 million) from the central budget reserve in 2019 and 2020 for population stabilisation and settlement projects. The PM reminded relevant ministries and relevant sectors to quickly restructure and develop agricultural and forestry companies, and ensure national defence and security, especially in border and remote areas. According to the Ministry of Agriculture and Rural Development, more than 66,700 households freely migrated to provinces in the Northwest, Central Highlands, and Southwest regions from 2005. The flow of emigrants has reduced strongly in recent years thanks to the implementation of the Party and State’s policies. In 2013-2017, as many as 17,510 free migration households were assisted to stabilise their lives.